As you know, we think WordPress is a fantastic CMS. But when it comes to managing page load speeds, there are several factors that can contribute to your site being slow. We recently covered the reasons your page load speeds are important. Put simply, page load speeds influence everything from traffic to bounce rate to conversions, user experience and perhaps most importantly, revenue. As your site develops over time WordPress can slow down. But there are many ways in which you can reduce page load speeds and maintain the speed of your WordPress website. 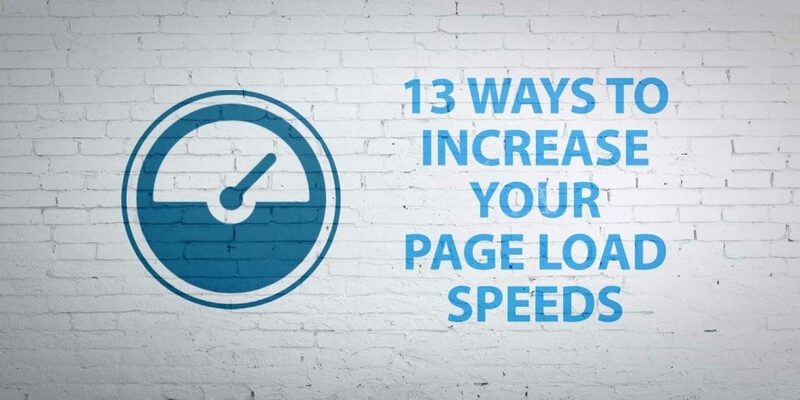 Your page load speeds are affected by a number of factors. Simply loading your website on your office or home computer is not a good way to rate your page load speeds. It’s highly likely your browser has stored a cached version of your website on your computer which will speed up your page load speeds. Users visiting your website from different geographical locations will have a different experience too. It’s best to use a 3rd party service like Pingdom to check your page loading speeds. 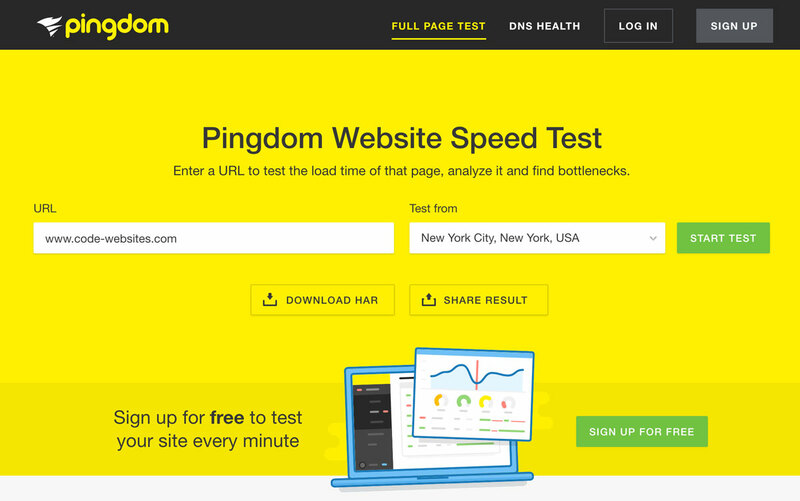 Pingdom is a free online tool that allows you to test speeds from different locations. You want to be aiming for a page load speed of under 2 seconds. Pingdom provides a report that offers suggestions of where you can make improvements to reduce load times. We’ve talked before about choosing the right hosting solution for your WordPress website. Cheap, shared hosting can be costly in the long run. Without a dedicated server administrator, firewall, backups, malware scans and implementing the right setup and security protocols, you are opening your website up to potential hackers and malware infections not to mention slow page load speeds. Often a shared hosting plan provides you with a small share of a heavily loaded server that is running many other websites. Quite simply: you get what you pay for with hosting. VPS hosting is a great choice for a commercial WordPress website. A VPS is one step removed from a dedicated hosting service as it gives you dedicated space and resources on a professionally managed server. This protects you from any neighbours you might have on a shared hosting service that could drain resources. You will typically get a higher level of security and a more professional level of service with a VPS. You’ll get a good balance of speed, service levels and cost. We would of course recommend a secure managed service hosting plan with CODE. We offer all the benefits of a VPS along with dedicated manpower and resources. We keep your WordPress website, theme and plugins updated regularly, keep daily backups, scan for malware daily, have great security protocols in place, offer round the clock free support for any security or uptime issues (of which we have very few!) and always provide you with full access to your account. We offer you a single point of contact and manage your entire hosting platform so that you have peace of mind and don’t have to get involved with the technical aspects. Looking for secure, reliable WordPress hosting? Theme selection is super important for your WordPress website. It might be tempting to select a free theme in order to keep costs low but you will likely pay for this long term. Your theme will be pre-set to integrate with certain plugins and depending on how well it was developed it could slow down your page speed considerably. Be careful however when selecting a premium theme: make sure you stick to theme author’s with good reviews and good sales history. Some themes can boast a huge range of features but can be pre-loaded with tons of plugins and whilst they might look flashy, they can end up being very heavy on resource loads. Another thing we are really passionate about is keeping your WordPress website updated and well maintained. Aside from the security risks from not updating your site creates, you can end up with compatibility issues and bugs that break and slow down your site. Nothing will slow you down more than a compromised website! It’s important to use as few plugins as possible to ensure maximum page load speeds on your website. It’s also important to choose the right plugins for your WordPress site. There’s a few we always install on our client sites and one of those is W3 Total Cache. Caching plugins can drastically improve page loads time. This is a great plugin and it’s also free! It has loads of great features and is really easy to install and configure. A popular choice of CDN for WordPress websites is Max CDN. They have reasonable prices and their dashboard is very simple to use. There’s video tutorials and set up only takes a few minutes. Images greatly improve the user experience and can reduce bounce rates. Researchers have found that using colored visuals makes people 80% more likely to read your content. No one likes text heavy content. Users want visuals. But images can be big on data and the more data, the slower the page load speeds. It’s therefore important to crunch those image sizes down as much as possible. But balancing the reduction in size with the reduction of quality is a challenge. Fortunately, there is an amazing, free plugin called WP-SmushIt which will do this process to all of your images automatically, as you are uploading them. Try it out! Most of your visitors are going to land on your homepage first. Making sure it’s optimised to load quickly is critical to your SEO and bounce rate. There’s a few things that you can do to ensure that your homepage loads quickly, but most importantly consider the User Experience! Make sure you’re only displaying the most pertinent information in a concise and simple way. You’ve only got a few seconds to make that vital impression so make sure your services and information is displayed in a clean and easy to understand format. Include CTA’s and eye catching images, but don’t overdo it! It’s about finding the right balance between simplicity and necessity. Optimise, revise and review! Databases aren’t the most exciting aspects of a website but every WordPress site has one! Over time your database is going to get clogged up with… database gunk! You can improve the performance and therefore the speed of your website by cleaning out that gunk. The easiest way to do this is to use a plugin such as WP-Optimize. This plugin lets you optimise the your database (spam, post revisions, drafts, tables, gunk etc.) to reduce the performance overhead. You can also use the WP-DB Manager plugin, which you can use to schedule database optimisation processes. LazyLoad is a great tool that you can use to reduce the data overhead when your website loads and improve performance and page load speeds. Instead of your pages loading everything at once, LazyLoad only loads the images pertaining to the portion of screen that is being viewed. As the user scrolls down the screen those images are then loaded. It basically delays the data transfer and display of the images as you scroll down the page. This can be a great way to improve speed and also save on bandwidth! You can install the jQuery Image Lazy Load plugin on your site to configure LazyLoad or it might be an option you can enable in your chosen theme. By default WordPress stores every single revision you ever make of a post or page. Over time this can clutter up your site and database and slow down your page speeds. Use the Revision Control plugin to keep your post revisions to a minimum. Make sure to keep a few revisions so you always have something to revert back to if you notice a mistake. After all, the revisions feature is super handy! But it’s probably not necessary to keep more than that. I always recommend using CloudFlare to our clients. 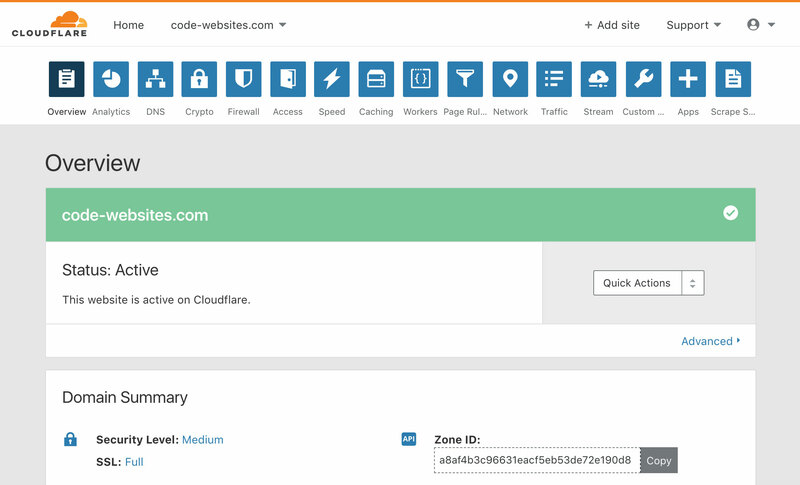 Routing your DNS through CloudFlare speeds up your website and also adds an extra layer of security. You can combine with the W3 Total Cache plugin to pack a punch on reducing page load speeds. CloudFlare offers a free plan, you just need to sign up and configure your DNS to route through your account. You can also install a plugin on your WordPress site for extra configuration and ease of use. Use a hosting service like YouTube or Vimeo for any video content you have and then embed the video into your pages and posts. Hosting videos will cost you bandwidth and will slow your site down. They will also increase your backup sizes. I hope you’ve found some of these page loading speed improvement tips useful! Feel free to leave us a comment below and please share this post on your social media. Don’t forget, we’re here to support your WordPress website with a full range of design, development, hosting, security and support services. So get in touch if you’d like to talk with us about how we can support your needs! Feel free to let us know if there’s any type of content you’d like to see on our blog, we’d love to hear from you. Why Is Page Load Speed Important? What Is Gutenberg?